Between the Devil and the Pacific Blue Release Day! Blog Tour continues at The Novel Approach! Woot! Between the Devil and the Pacific Blue is out! I'm so excited about this little novella. I had so much fun writing it, I hope you enjoy it just as much! The celebration continues over at The Novel Approach where I'm chatting about Halloween traditions. Plus there's a giveaway! Between the Devil and the Pacific Blue stops over at Joyfully Jay! Hello all! One more day until the release of Between the Devil and the Pacific Blue! Today I'm over at Joyfully Jay's chatting about horror romance and horror movies. Drop by and share some of your favorites. Plus there's an exclusive giveaway! 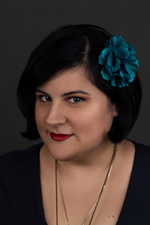 Some time ago, I sadly fell very behind on my reading, but a conversation with the lovely Poppy Dennison reminded me of how important it is for an author to read. There really was no excuse for me not to be getting any reading done, and "haven't had time" was just not good enough. I schedule most everything in my planner, from edits, to pet grooming appointments, to blot tours and everything in between, so why not schedule reading time? Over the last few weeks, I've gotten back into the swing of things and realize how much I missed it. I'd been meaning to read the Matter of Times series by Mary Calmes for a long time, and by book 2 I was kicking myself that I hadn't. Halfway through book one, I knew I'd be reading the rest of the series. The more I read, the more I wanted. First let me say that the way I approach reading a book hasn't changed since I was a kid. I read because I love stories. Love getting lost in the world and the characters. I'm not looking for the next award winning book, I'm not looking out for plot holes or grammar errors--unless they're so great that I can't even read the thing. I'm not looking for how it could have been improved or how I would have done it different because when I pick up a book, I'm reading for the pure enjoyment of it. Lucky for me, I can still separate myself from the technical side of things. It's not my job to edit. I'm not saying this because any of the books I'll be chatting about have issues, but to let you know that it's not what I'm looking at when I read, and that's just me. Everyone approaches reading differently. 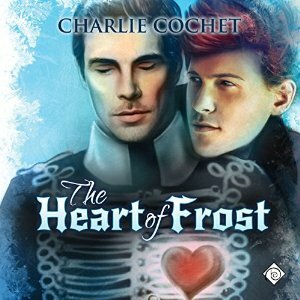 The romance genre is one of my favorite genres, and Gay Romance is especially a love of mine. So for me, it's all about love. However books that really make me feel something, whose characters stick with me long after I've finished reading, who comfort me when I need to escape, those make it to my favorites list, and they're the ones I revisit time and time again. Like a favorite movie. Matter of Time is one of those series. I just adored it. I'd read Mary before and love every story, but I had some catching up to do. I read all eight books straight through, thrilled they were all there waiting for me to gobble up like a little greedy bunny. And boy did these books make me feel. I'm not a huge fan of a lot of angst, so I tend not to look for books that try to crush my soul with pain. Real life can be tough enough, so I need my happily ever after, or at least know what I'm getting into. That's just me. With this series, I laughed, cried, and oh my God, I wanted to punch Sam in his dangly bits. Seriously, the man drove me nuts. One minute I wanted to cuddle him, the next I wanted to strangle him. I stayed up way past my bedtime reading these. But who needs sleep, right? There were moments when I could feel Jory's pain deep in my chest because I'd been there. The heartache was excruciating. Yes, Jory is a trouble magnet, but that just made the whole thing more fun, and his character fascinating. I had moments where I gasped, burst out laughing, and on more than one occasion woke up poor Olly. I loved watching Jory and Sam grow, not just as a couple but individuals. The supporting characters were fantastic. On the surface it may seem like many of the characters are perfect, but beneath it all they're far from it. Each has their own flaws, their own heartaches, and secrets. Then in Parting Shot we got Duncan Stiel. I LOVE that man. I loved seeing things from Aaron's point of view, how different Duncan was to Jory. This was just such a good read. Duncan and Aaron are just smoking hot together. Overall, this series had everything I wanted and loved. <3 Happy reading! Three years ago, Jory Harcourt changed his name and shut the door on a past full of pain, only to emerge stronger on the other side. He has a new career, a great working partner, and a satisfying life—except for the hole in his chest left behind when police Detective Sam Kage walked out with his heart. Now Sam's back and he knows what he wants... and what he wants is Jory. Jory, who doesn't know if he can survive another break up or losing Sam to his dangerous job, resists returning to the arms of the only man he has ever truly loved. But when a serial killer with a score to settle targets Jory, he will have to decide if love is worth the danger as he tries to solve the case and keep Sam safe. Jory Harcourt is finally living the dream. Being married to US Marshal Sam Kage has changed him—it’s settled the tumult of their past and changed Jory from a guy who bails at the first sign of trouble to a man who stays and weathers the storm. He and Sam have two kids, a house in the burbs, and a badass minivan. Jory’s days of being an epicenter for disaster are over. Domestic life is good. Which means it's exactly the right time for a shakeup on the home front. Sam’s ex turns up in an unexpected place. A hit man climbs up their balcony at a family reunion. And maybe both of those things have something to do with a witness who disappeared a year ago. Marital bliss just got a kick in the pants, but Jory won’t let anyone take his family away from him. Before he knew what it felt like to have a home, he would have run. Not anymore. He knows he and Sam need to handle things together, because that’s the only way they’re going to make it. 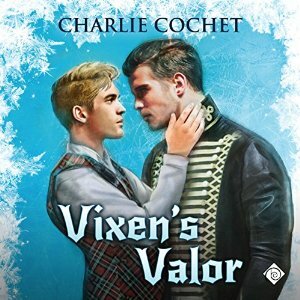 Vixen's Valor is now available on audiobook! Hello all! I'm so excited to announce the release of Vixen's Valor on audiobook! Audible: http://www.audible.com/pd/Romance/Vixens-Valor-Audiobook/B0178RB5X8/ This is book 3 in the series. 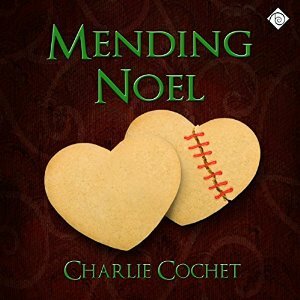 Although it can be read as a standalone, I would recommend starting with book 1 Mending Noel since characters cross over. 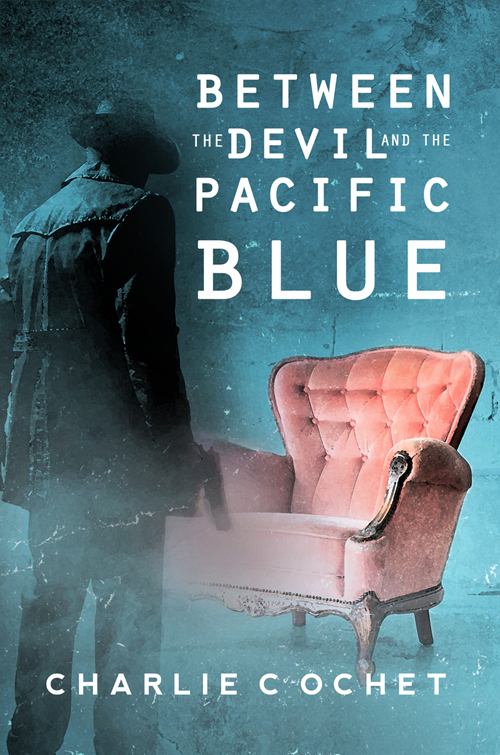 Between the Devil and the Pacific Blue blog tour continues over at V's Reads! Hello all! Just a few days left until the release of Between the Devil and the Pacific Blue! 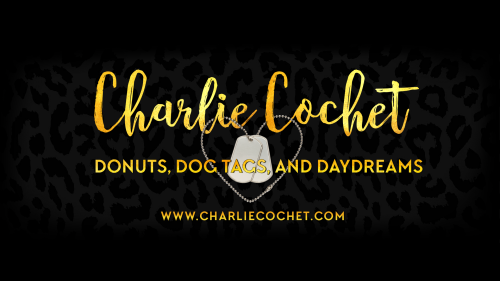 To celebrate, I'm having a mini blog tour, including giveaways! Today we're stopping by V's Reads where I'm chatting about the tasty treats the fall brings. Drop by and share your favorite festive goodies! Pumpkin Spice Latte? Pumpkin donuts? What's a must have for this fall season? V's Reads. Hello all! Between now and October 31st get any THIRDS book for just $3 in Dreamspinner's Paranormal sale! Healing Hunter's Heart and Between the Devil and the Pacific Blue are also on sale for just $3 each. Happy Halloween!